Home/NEWS/Varun Tej and Srinu vaitla movie to be produced by Bujji. 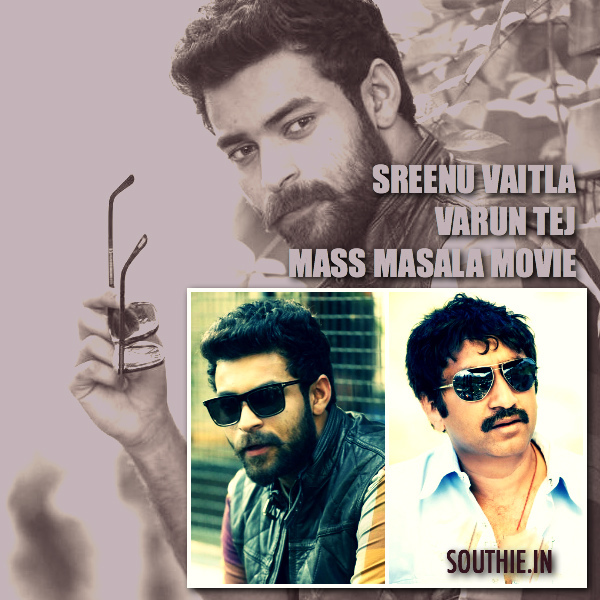 Sreenu Vaitla will be directing a film with young hero Varun Tej. Rakul Preet Singh has been signed on for the film as the lead actress. Sizzling actress Rakul Preet Singh is turning out to be the hot favourite for everyone. According to sources, Rakul has been roped to star opposite Mega Prince Varun Tej in his upcoming project under the direction of Srinu Vaitla. Srinu Vaitla was keen on roping in Rakul as she worked with him in Ram Charan’s Bruce Lee. This would be out -and-out fun entertainer with Srinu Vaitla’s trademark comedy. Producer Nallamalupu Bujji is funding this project which may hit floors soon. Rakul Preet Singh is the heroine of the Mega Family Heroes, after Bruce Lee the Fighter, She has signed, Sarrainodu, then again with Ram Charan in Thani Oruvan Remake then Sai Dharam Tej and now Varun Tej. Rakul Preet turning out to be a Mega Heroine. Meanwhile, Rakul also has a film with Sai Dharam Tej. This will be a mass entertainer under the direction of Gopichand Malineni of Balupu fame. It is jointly produced by Nallamalupu Bujji and Tagore Madhu. At present, Rakul is busy completing Boyapati Srinu’s Sarrainodu starring Allu Arjun which may hit screens on April 8th. She has also signed Boyapati Srinu’s next project with Bellamkonda Srinivas. The actress also has Ram Charan’s remake of the Tamil hit Thani Oruvan.